POOCHi is New York City's premier concierge and luxury apparel company for dogs. From playful outdoor excursions to coordinating grooming and veterinarian appointments, POOCHi has offerings and memberships to fit your every need. We believe pets are at their best when they are physically stimulated and have a consistent routine. We are committed to your pet’s health and well-being and look forward to meeting your every need. At POOCHi, we believe that dogs are an integral member of the family and deserve to be treated with the same unconditional love and attention that they provide to us. Our promise is to ensure that we provide memorable experiences and care for your loved ones, so that you can enjoy piece of mind while you are away and delight in the comfort of knowing your four-legged family members are well taken care of at home. Our founder, Jason, spent 20 years in corporate America focusing on understanding customers' needs and delivering impeccable customer experiences that exceeded their expectations. 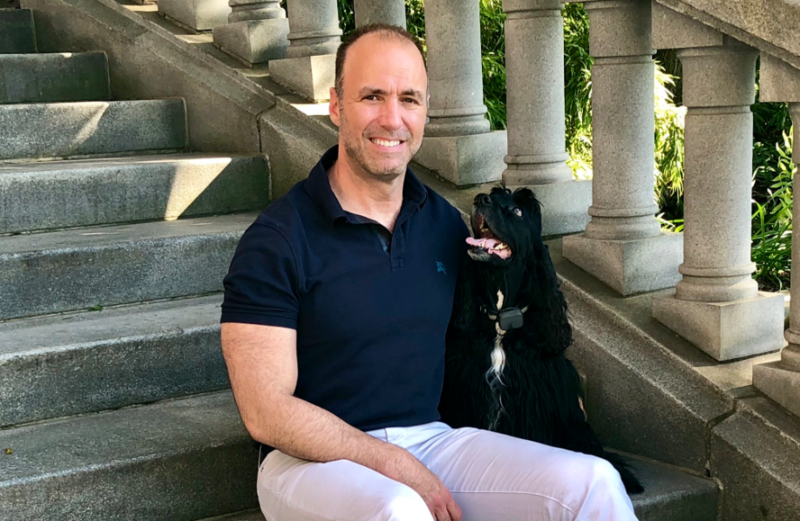 Finding inspiration in his rescue Cocker Spaniel, Bronx, he decided to couple his professional experience with his love for dogs. Thus, POOCHi was born. POOCHi’s foundations are rooted in the following principles: unconditional love for dogs, integrity, trust and respect. POOCHi is committed to earning your trust by providing you and your pet with the highest level of professionalism and respect. In order to deliver on our promise, we carefully vet each pet care specialist, conduct a thorough background check and require a minimum of one year experience. We have a structured on-boarding process that includes mandatory continuing education seminars. POOCHi has partnered with Pet Sitters International, the world's largest educational association for professional pet sitters and FetchFind to ensure that we offer the best experience possible in this rapidly changing environment. We have also collaborated with Time To Pet, the most modern and advanced technology software app for pet care, to provide you with transparent communications and a customer friendly scheduling system. Lastly, we are honored to say that we stand united with the ASPCA as a Business Ambassador and its mission to save dogs' lives. POOCHi will be launching a stylish apparel line that will have your dog strutting the streets in style.